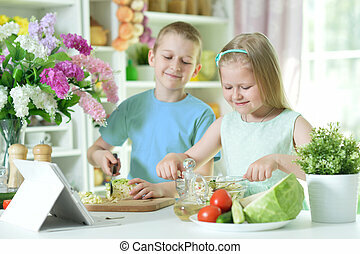 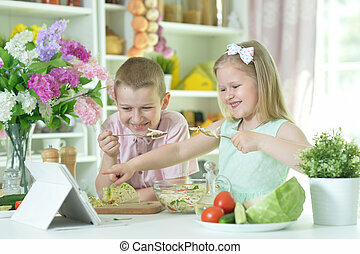 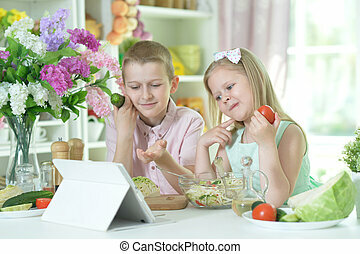 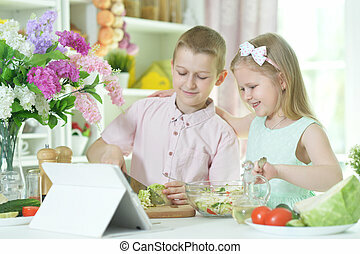 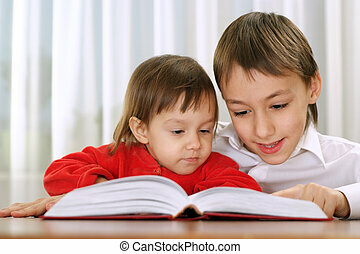 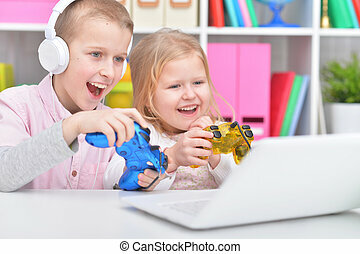 Brother and little sister in bed with tablet pc. 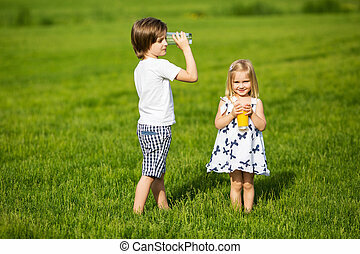 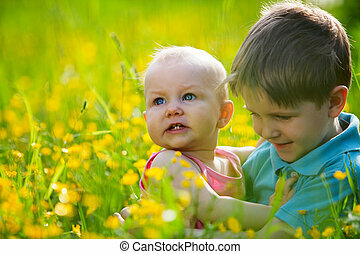 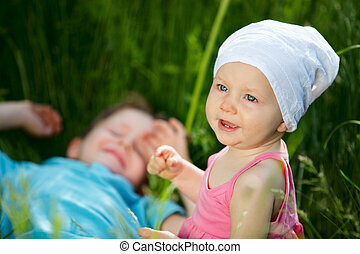 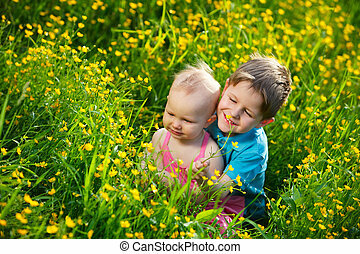 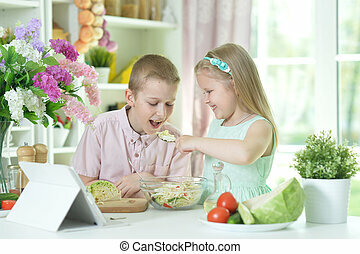 Brother and little sister playing in green grass at sunny summer day. 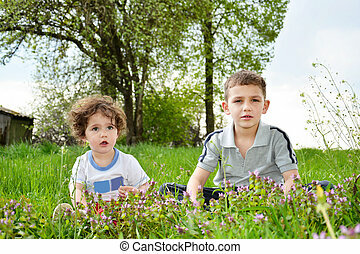 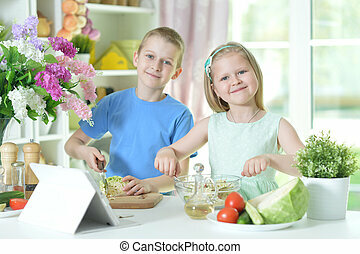 Brother and little sister sitting in the flowers in the garden in the village. 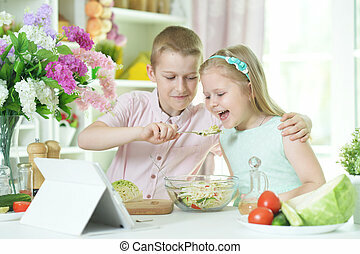 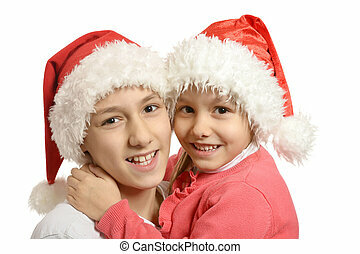 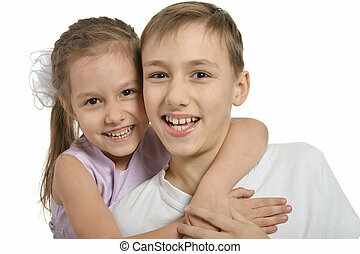 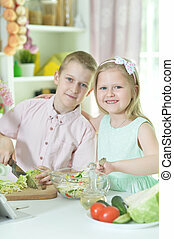 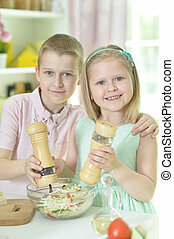 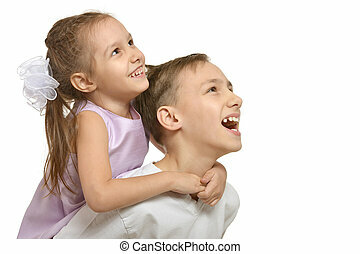 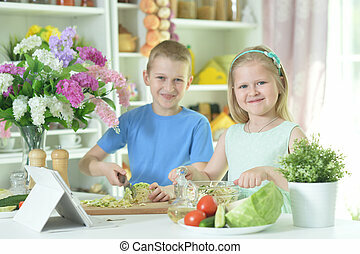 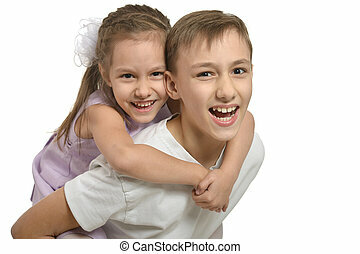 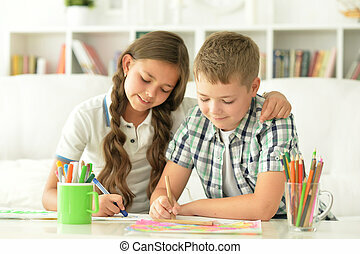 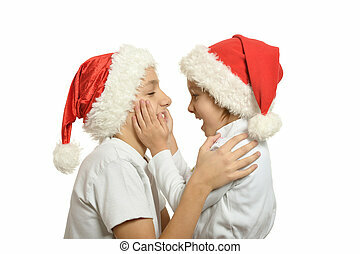 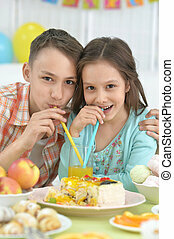 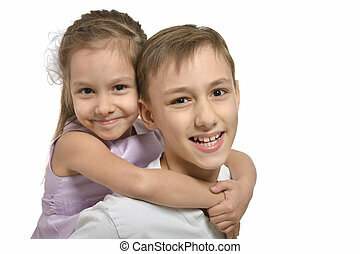 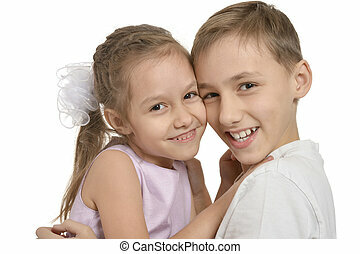 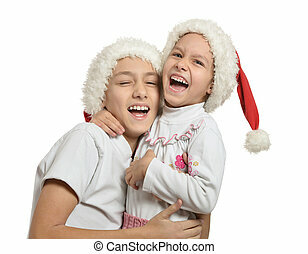 Loving brother and little sister hugging on gray background. 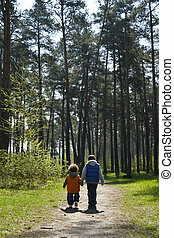 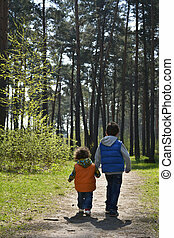 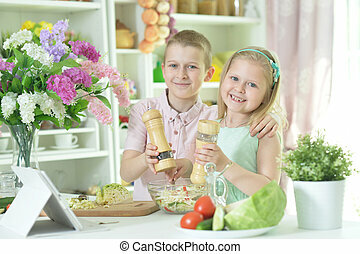 Brother and little sister are on the road in the woods and hold hands bright sunny day of spring.